There appeared to be a 'mini-fall' of wheatears this morning at Druridge, I counted at least seven along about 200m of the dune fence, pushed this way and that by the hordes of dog walkers. Across the road, in the small clump of bushes by the entrance, a willow warbler flitted about, feeding. Further north, one was signing by the Budge screen. 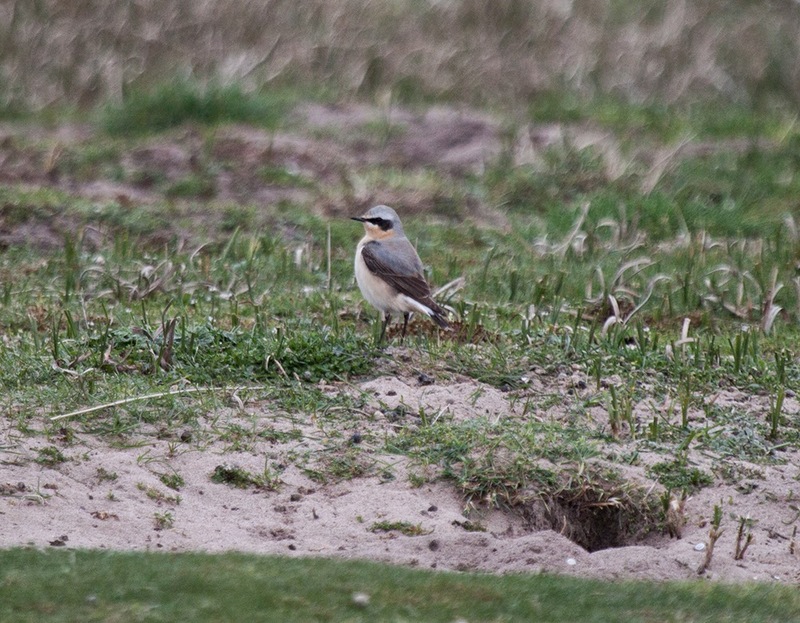 So two migrants on the patch, follow hot on the heals of sandwich tern and blackcap mid-week. But, there weren't many birds by any stretch. The bushes still remain decidedly quiet. 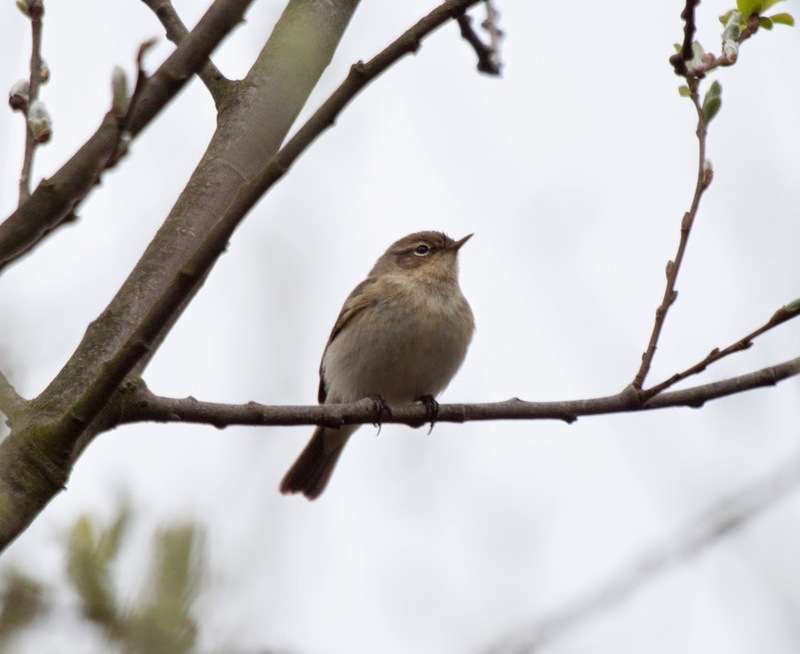 This chiffchaff was one of the few passerines I saw. Also noteworthy were a pair of pintail on the Budge fields and three black-tailed godwit which flew in from the north. I tried a quick look on the sea this evening when the light was better, but the wind had really picked up, so I didn't give it long. There are now dozens of sandwich terns feeding in the bay, but I couldn't find any of their smaller cousins. Red kites have been seen fairly close-by this week. 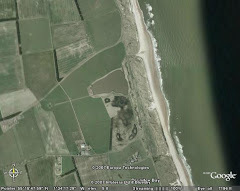 Janet saw one over the road near New Moor Tip on Thursday and two were reported at Alnmouth today. Surely this species is a strong contender to get onto the patch list in 2014?